Vote for our 2009 Readers' Award and win a Q-TV2! | What Hi-Fi? Vote for our 2009 Readers' Award and win a Q-TV2! But first you have a chance to cast YOUR vote, by picking your favourite product from our Readers' Award shortlist – compiled from suggestions here on whathifi.com. 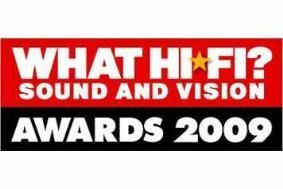 Nominated products on the shortlist are: Spotify, Naim's NaimUniti, the Apple iPhone 3G S, Cambridge Audio's DACMagic, the Yamaha DSP-Z7, Denon D-M37DAB, AVI ADM 9.1 and Lindy 6-way mains condditioner. Cast your vote, and you could win a Q Acoustics Q-TV2 speaker system and a pair of tickets to our prestigious Awards ceremony at the Dorchester Hotel in London on October 1st. There are also runners-up prizes of Grado SR60i heapdphones and QED Performance HDMI cables. So get voting by visiting our Awards microsite and following the simple instructions. Good luck!